1 Blemished Available: $79.98 This item is available as a Blem/Refurb. These are items that cannot be sold as "New" merchandise and are limited to stock on hand. See the product details for a description of the product's condition. 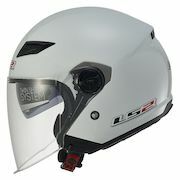 The OF569 Helmet with sun shield is one of the most popular in LS2's line up. When it’s hot outside, it is awesome to be able to lift the shield and get some air when you are stopped at a light or filling the tank. The face shield is optically correct and flips up and out of the way when needed, and uses the ShortShift Tool-less Quick Release for easy replacement. 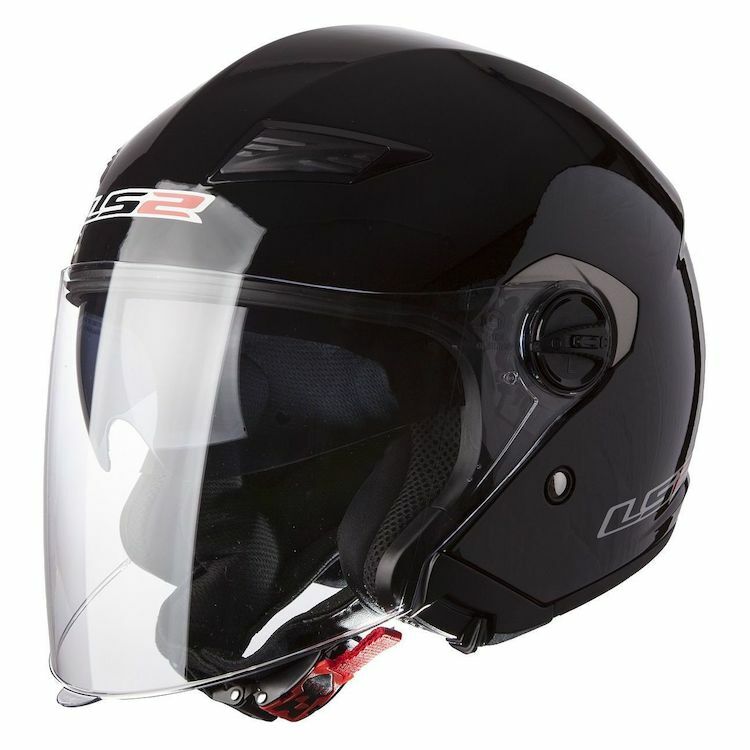 The peripheral vision is exceptional and allows you to see the world without the typical obstruction of other helmets. Some say it’s like looking out through a giant picture window. The OF569 includes LS2’s Twin Shield System Drop Down Sun Shield that engages and retracts at the touch of a button. The quick release chin strap makes it easy to get on and off. The plush comfort liner is made of a breathable fabric and is fully removable and washable.